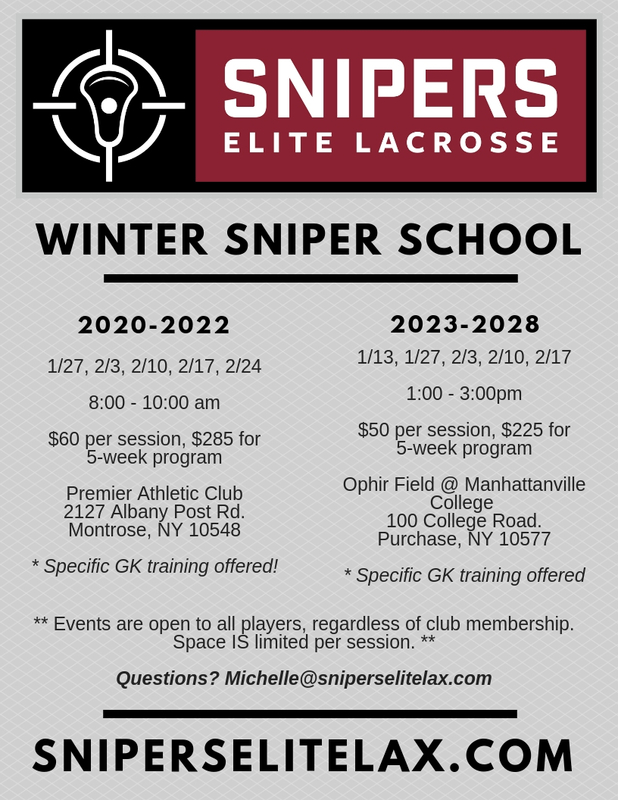 Winter Sniper School registration is open and rolling! Options for High School, Middle School, Youth players, as well as goalies of all ages. Flexible registration (per session or complete program). Extensive list of guest college & professional coaches. Click flyer for more information & registration!